California Gov. 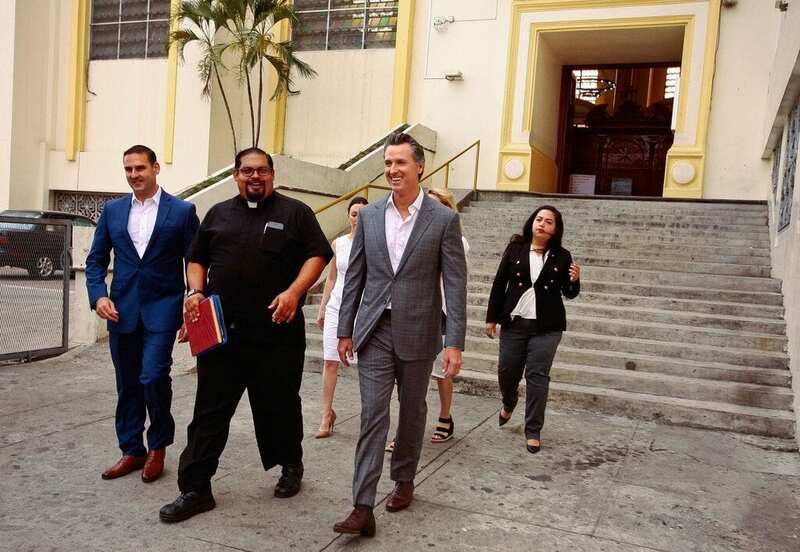 Gavin Newsom, second from right, walks out with San Salvador Mayor Ernesto Muyshondtof, far left, after they visited the tomb of Archbishop Oscar Romero at Metropolitan Cathedral in San Salvador, El Salvador. California Gov. Gavin Newsom arrived in El Salvador on Sunday to begin a four-day trip to learn more about the root causes fueling migration to the U.S. and offer an alternative to what he regards as President Trump’s “demoralizing” rhetoric about the Central American nation. The trip comes on the heels of President Trump’s Friday visit to California’s stretch of the U.S.-Mexico border. Newsom criticized Trump’s recent move to cut direct aid to El Salvador, Guatemala, and Honduras, nations who’ve seen many of their citizens flee north through Mexico in efforts to enter the U.S.
Newsom, 51, a Democrat who took office in January after being elected in November to the top job in the nation’s most populous state, has taken the Trump administration to task on immigration, having sued over the president’s emergency declaration to build a southern border wall and pledging $25 million in state money to help asylum seekers. Previously, Newsom and Trump battled on social media over costs associated with massive wildfires in California. Soon after Newsom took office, Trump argued that the state needed better forest management so the state would be less reliant on federal dollars for fire recovery. “Billions of dollars are sent to the State of California for Forrest fires that, with proper Forrest Management, would never happen. Unless they get their act together, which is unlikely, I have ordered FEMA to send no more money. It is a disgraceful situation in lives & money!” Trump wrote. Newsom’s office said the governor chose El Salvador for his first international trip because California is home to approximately 680,000 Salvadorans – the largest Salvadoran immigrant population in the U.S.
On Sunday, he visited the tomb of Saint Oscar Romero – the Salvadoran priest assassinated in 1980 at the start of the nation’s civil war – where he lit a candle and kneeled to pray. 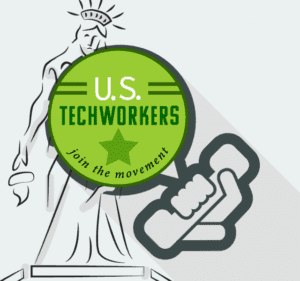 Newsom will meet with President Salvador Sanchez Ceren, U.S. Ambassador Jean Manes and President-elect Nayib Bukele during his visit. He’ll also tour a reintegration center that processes Salvadorans deported from the U.S. and Mexico, see a cultural demonstration in a rural town, meet with human rights groups and discuss economic development and gang intervention. Newsom said he’s figuring out what California can do to help tackle the root causes of migration, namely deep poverty and gang violence. El Salvador is one of the world’s most violent countries, with the gangs MS-13 and Barrio 18 exerting strong control. Republicans in California criticized Newsom’s purported aims, arguing that he should instead focus on poverty at home. “The tragic circumstances that drive migrants from their homes should remind us that we have people living in crushing poverty in our own communities. Our attention and resources should be focused there,” Republican state Assemblyman Devon Mathis said in a statement. Newsom has defended the trip on the grounds that immigration is, more than in any other state, fundamental to California’s politics. Newsom said he hopes to show Salvadorans there’s “a completely different conversation” happening in the United States outside of Trump’s comments. “There are people in the U.S. who think folks down here matter and we care to understand their plight and challenges and see if there’s ways we can soften things,” he said.